Independent Watkins Consultant Veronica Pettipas (#398408) proudly presents this respected home business with J.R. Watkins. Congrats on being ready to earn income as a member of the Watkins Home-Based Business. Just submit the basic information below, then follow the instructions to complete your enrollment. Remember, your membership has a full 30-day money-back guarantee, if you determine that the Watkins membership is not right for you for any reason. Okay, let's help you start building your income! Extra Bonus Opportunity: By joining our team during April 2019, you'll be eligible for our New Consultant Action Challenge. 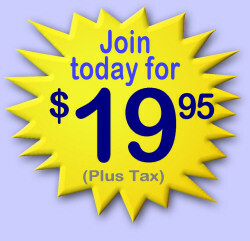 New members can qualify for up to $150 in free food products for quickly taking steps that lead to success. You are viewing the Mobile site. The statements made and opinions expressed on this site are those of Independent Watkins Consultants who are recognized by the Watkins Company as official training and support leaders for the Watkins Home-Based Business opportunity, who have published this website as a free business-building tool for our team member Veronica Pettipas (Independent Watkins Consultant #398408). The statements made and opinions expressed on this site are from these field leaders and have not been specifically reviewed by the Watkins Company. Testimonials are based on personal experiences, and we cannot guarantee these same results for everyone.